The need for detoxification is widely accepted. Seemingly, the various ways to detoxify over the day is also settled. Yet, it’s dangerous and ineffective to detoxify the body in the daytime. 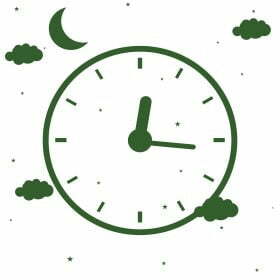 The circadian rhythm selected nighttime for the mobilization of a large amount of toxins. High overnight melatonin level triggers the extra production of glutathione, the most important antioxidant produced in cells. Bile production spikes overnight, the kidneys are more active and even the motility of the gastrointestinal tract is enhanced as we sleep. Forcing the body into a daytime detoxification is medically wrong. Those who respect the body and want to offer a safe and effective way to remove the bioaccumulated toxins would never force the whole body into detoxification in the daytime. While it’s true that any mild detoxification is better than no support for detoxification, a professional detoxification protocol has to be aligned with the needs and limitations of the body. The widely promoted bowel cleanses, the quick oral detox products or the much-hyped ‘fast’ liposomal delivery route are equally inadequate to remove the toxins safely and efficiently. When toxins are mobilized at the wrong time, they overwhelm the detoxification organs, cause liver and kidney damage (ALT and AST are often elevated), unpleasant Herxheimer’s reactions are experienced, and in an exhausted body tiredness and headaches are common. Just the opposite, slow, overnight detoxification is ideal – as it happens naturally, controlled by the circadian rhythm. The efficiency of drugs and the toxicity of drugs/toxins (including mobilized toxins through detoxification) changes during a 24-hour cycle by a diurnal variation. Bile production is highest at night when the detoxification capacity of the liver and the kidneys peak. In a 1994 French study, the circadian dosing time of a toxin killed 100% of mice when given in the daytime, however, none of them died when the same amount of toxin was given at night. Other studies confirm the marked difference the body responds with a diurnal difference to any extra toxins that need to be eliminated. More efficient brain detoxification happens by the nightly shrinkage of brain cells by 60%. The glymphatic system, the waste removing system of the brain when cerebrospinal fluid is pumped through the brain, managed by glial cells, becomes 10X more active as we sleep compared to wakefulness. The focus should be on the patients to avoid unnecessary suffering – encountered when detoxifying in the day – and gain safety, organ protection and efficiency, all achieved with overnight detoxification. Why Overnight, Rectal Suppositories are Great Choices? Rectal suppositories, such as ToxDetox (Glutathione & EDTA synergy) are absorbed overnight. They are safer, much more effective and more affordable compared to daytime detoxification/chelation methods. Why ToxDetox (Glutathione 600mg and EDTA 1600mg) is The World Leader Now? A human clinical study in South Korea compared the effects of Glutathione and EDTA on toxic metal excretion. When only Glutathione or only EDTA was given a high level of toxin was excreted. However, when the two were given at the same time, 3.8 times more toxins left the body, confirming that this unique synergy greatly enhances effectiveness. While EDTA stays in the bloodstream, Glutathione enters the organs and cells and actively helps the release of the toxins from within the cells. Furthermore, EDTA (only) was associated with elevated ALT and AST, however, the added Glutathione extended its organ protective role to all tissues, including the hepatocytes and these enzymes were not spiking. This makes ToxDetox the only rectal suppository that is simultaneously much more effective and safer too. This creates a win-win situation both for the doctor and the patient. Review several studies done with EDTA chelation suppositories. You will be pleasantly surprised to see that EDTA suppositories do remove mercury (Hg) and other metals from the body. Click here for the studies. Don’t forget that any of the rectal suppositories come with a FREE bowel cleanse that cuts down the re-absorption of toxins from the colon and keep them in the gut for elimination. Lévi, F., et al. “Circadian changes in mitoxantrone toxicity in mice: Relationship with plasma pharmacokinetics”, International Journal of Cancer, Volume 59, Issue 4, 15 November 1994, Pages 543-547. Effect of glutathione on the cadmium chelation of EDTA in a patient with cadmium intoxication. Gil HW et al. Hum Exp Toxicol. 2011 Jan;30(1):79-83. Epub 2010 Apr 22. This entry was posted in Health News and tagged chelation, chelation therapy, detoxification, glutathione, lead poisoning, suppository.